The first time I saw the musical version of The Color Purple I think I was on a date. I say think because through some seating mishap I was placed on one side of a row between two strangers while my beau was all the way at the other end. In hind sight, that was a good thing. The transformative performances of the cast and the music were so powerful I remember crying uncontrollably by intermission. And those strange ladies and I were all holding hands and exchanging tissues. Not good dating etiquette. But that is the power of musicals. So I was more than a little jazzed to learn that the revival of The Color Purple, which premiered last week at the Bernand B. Jacobs Theatre, announced that a cast album will be recorded this week and released via Broadway Records. And then there is Cynthia Erivo as “Celie.” All I can suggest you do is watch her and Ms. Hudson perform the title song to the musical in this official music video for the show. The Color Purple has gone through its own transformations first as the Pulitzer Prize-winning novel by author Alice Walker, to the acclaimed and controversial film directed by Steven Spielberg. And then the film version’s Sophia, an unknown named Oprah Winfrey put her strength into pushing a Broadway production of Purple in 2005. The story is all about black women and their strength against odds and circumstances that would kill most of us dead. The revival of Purple premiered at the Jacobs Theatre Dec 10th, 2015. To see what Broadway Black thought of the show click here. The cast album is set for a January 29th release date. But…you can pre-order the music now. And click here to order your tickets to The Color Purple now. 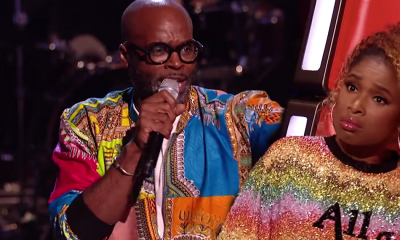 Cedric Neal Reaches The Highest Ground On The Voice UK, All 4 Judges Turn! 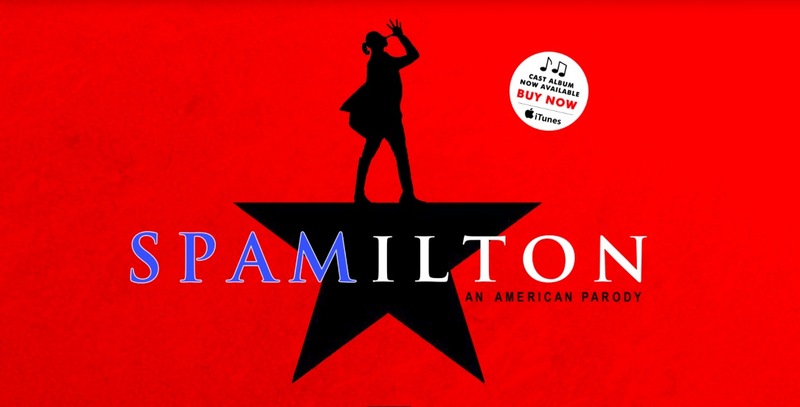 Spamilton, the off-Broadway parody of the musical phenomenon Hamilton, released a cast album on DRG Records last week. The cast recording features original Spamilton cast members Dan Rosales, Nicholas Edwards, Juwan Crawley, Chris Anthony Giles, Nora Schell, with special guest stars Christine Pedi and Glenn Bassett, and Music Director Fred Barton on piano. The show, created by Forbidden Broadway creator Gerard Alessandini, celebrates and roasts Broadways golden musical, but also features outrageous references to Gypsy, Chicago, The King And I, Assassins, Camelot and Sweeney Todd. Not only are the stars of the original cast of Hamilton comically roasted, but they are joined by “caricatures of living Broadway legends the likes of: Patti LuPone, Audra McDonald, Stephen Sondheim, Stephen Schwartz, Barbra Streisand, Bernadette Peters and many more beloved icons”, even Beyonce. Spamilton began previews at The Triad (158 West 72nd Street) on Tuesday, July 19, 2016 and opened on September 8 to rave reviews. 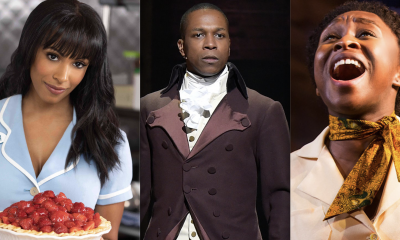 The show most recently celebrated its 200th performance on February 19, 2017, and it was announced a second Spamilton company began a sit-down production at Chicago’s Royal George Theatre this month. The album is available on iTunes, Spotify, and Amazon. 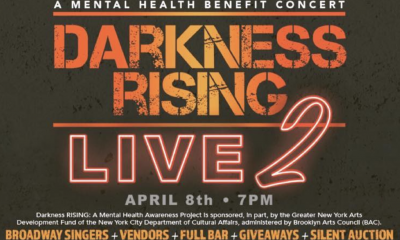 Tickets for the show can be purchased here. So, you can’t make it to London anytime soon? No worries! 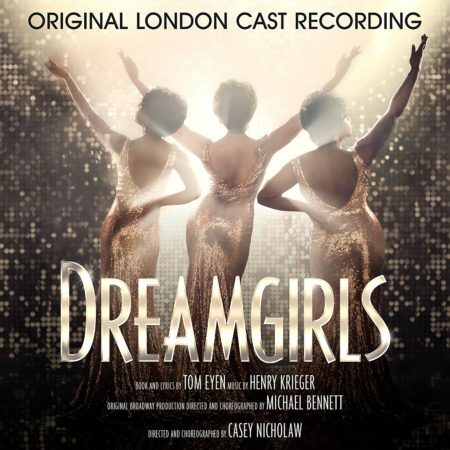 The West End production of the five-time Olivier nominated Dreamgirls has announced an April 14th release date for its original London cast recording. Sony Classical will release the highly-anticipated cast album in a stunning new double-disc recorded LIVE at London’s Savoy Theatre. Directed by Casey Nicholaw, with book and lyrics by Tom Eyen, the album, produced with Olivier-nominee and composer Henry Krieger, captures the on-stage exhilaration of the original London cast, the 14-piece band, and the audience. This cast album features Olivier-nominees Amber Riley and Adam J. Bernard as Effie White and James “Thunder” Early, respectively, Liisi LaFontaine as Deena Jones, and Ibinabo Jack as Lorrell Robinson, with Joe Aaron Reid as Curtis Taylor Jr, Tyrone Huntley as C.C. White, Nicholas Bailey as Marty, and Lily Frazer as Michelle Morris. The company also includes Michael Afemaré, Jocasta Almgill, Callum Aylott, Hugo Batista, Samara Casteallo, Chloe Chambers, Carly Mercedes Dyer, Joelle Dyson, Kimmy Edwards, Candace Furbert, Nathan Graham, Ashley Luke Lloyd, Gabriel Mokake, Siân Nathaniel-James, Sean Parkins, Kirk Patterson, Ryan Reid, Rohan Richards, Noel Samuels, Durone Stokes, and Tosh Wanogho-Maud. 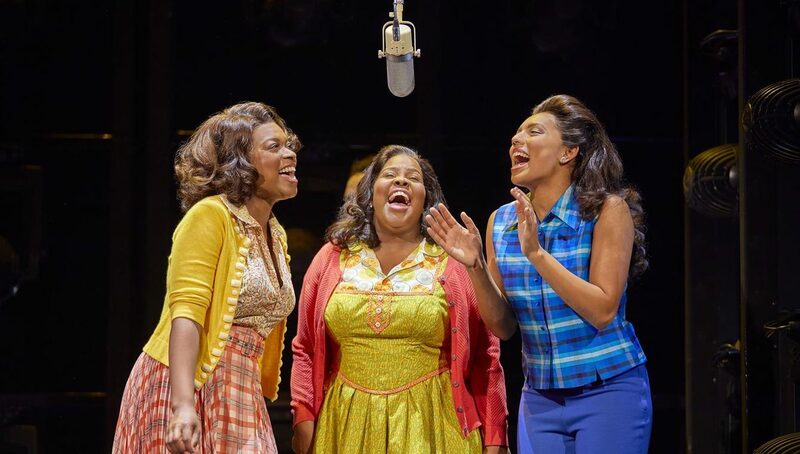 And if you just so happen to make it to London in the near future, purchase tickets at Dreamgirls West End.